Most people go on holiday to unwind; to unburden their body and mind from the stresses of work. Strangely enough, many people do yoga for the exact same reason. So just imagine the benefits you could reap by combining the two! Our blog recently looked at the ways yoga can improve your life. To that effect, a yoga themed holiday is the ultimate escapism from our fast paced world. With August around the corner, and last minute deals aplenty, we thought we’d take a look at some of the most luxurious yoga retreats on the offer. This breathtaking resort is located on a private beach, where you’ll benefit from the pavilions stunning coastline views. There are three yoga sessions a day that really take advantage of the panoramic scenery, with one at sunrise and one at sunset. The classes range in difficulty, from beginner to advanced, to ensure there is something for everyone, and there is even the opportunity of a 90 minute one-on-one lesson. If you’ve any energy left after a morning of contortion, the retreat also arranges a selection of other activities, including volleyball, beach walks, circuit training and water sports. But if you’d rather just relax and reserve your energy for the next sunset sesh, you can always return to the beach-front lounge for an invigorating fruit smoothie while watching the cool, calming waves of the ocean. The Kamalaya resort started life as an ancient cave, where Buddhist monks once congregated to devote their lives to meditation. It is alleged that this cave forms the basis of the island’s healing powers, but whether you believe in this or not, the resort continues to exude a spiritual aura perfect for those looking to lose themselves to a world of relaxation. Located in the tranquil Himalayan foothills, close to the mythological cities of Haridwar and Rishikesh, the Ananda resort is a stunning outdoor amphitheatre offering a full spectrum of yoga practices. The Adler Thermae spa is a short walk from the romantic town of Bagno Vignoni, in the heart of Tuscany's natural park, Val d'Orcia, which is famous for its thermal waters and hot springs. Declared a world heritage site in 2004, the Val d'Orcia springs are alleged to possess healing powers that have positive effects on the body. The retreat offers complimentary classes including pilates and meditation, to compliment the yoga sessions, while fitness fanatics will enjoy the daily cardio classes and 13.5km jogging trail on the retreat's doorstep. Situated on the unspoilt beach at Parrot Cay, the retreat is surrounded by 1,000 acres of preserved nature, including a mile of soft, white beach, turquoise waters and rich wetlands. The daily yoga classes take place on the resort’s idyllic beaches, against the empowering view of the North Atlantic Sea. Also on offer are its Japanese baths, outdoor Jacuzzi and 1300sq ft. Yoga studio, so by the end of your stay you should be feeling pretty damn relaxed. A week at any of these world renowned yoga retreats will not only help restore your body and mind, and in turn have you working more productively than ever before, but many people have discovered new things about themselves during these spiritual journeys. 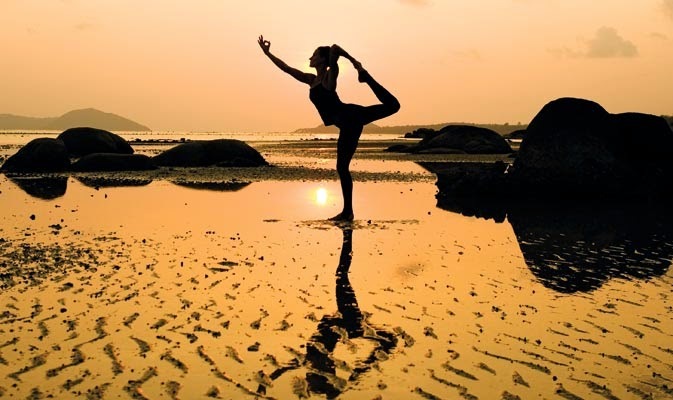 If you’ve embarked on a yoga themed holiday in the past let us know what you thought in the comment box below. And if you have one booked, check out our luxury Be An Athlete neon leggings to ensure you look every bit the part during your stay! Get Morocco Tour Package and experience both luxury and indulgence with us. Morocco is the country with beautiful colors and we want you to experience those with more fun and pleasure. n any case, before joining any of the course for yoga preparing affirmation, ensure that the organization is perceived. Great and very informative post, thank you very much! I think that the best yoga retreats located in India. I should definitely visit India soon. You are really genius. You have shared the most of the quality information about the health. It's true yoga is a good practice to living healthy, beside that you have maintain the proper diet with some supplement foods for better life.